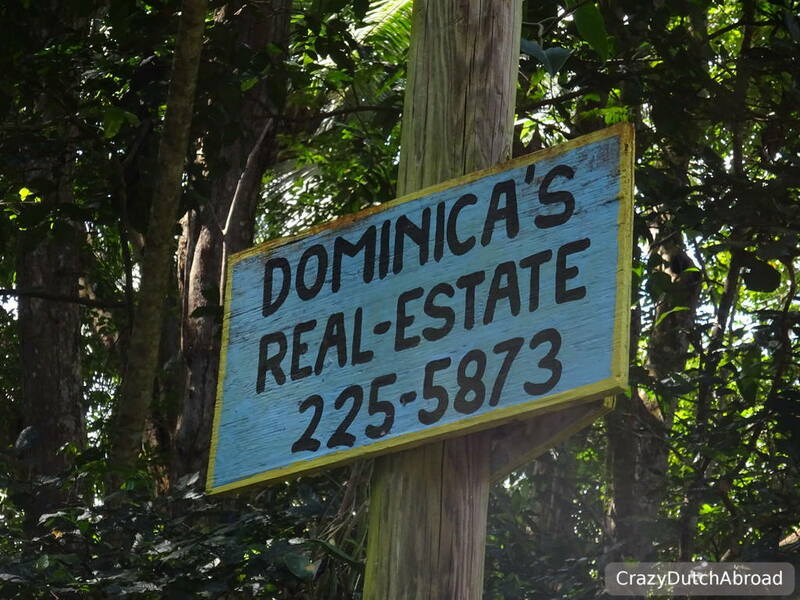 Discover Dominica, Nature Island of the Caribbean! 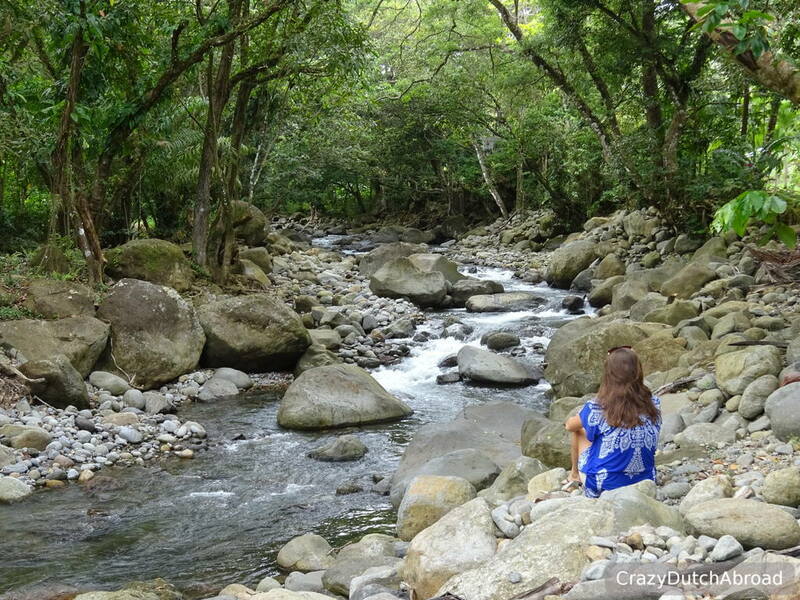 If you are looking for a hidden gem in the Caribbean, visit Dominica! Volcanic bubbles, whale watching and stunning mountain views without crowds! 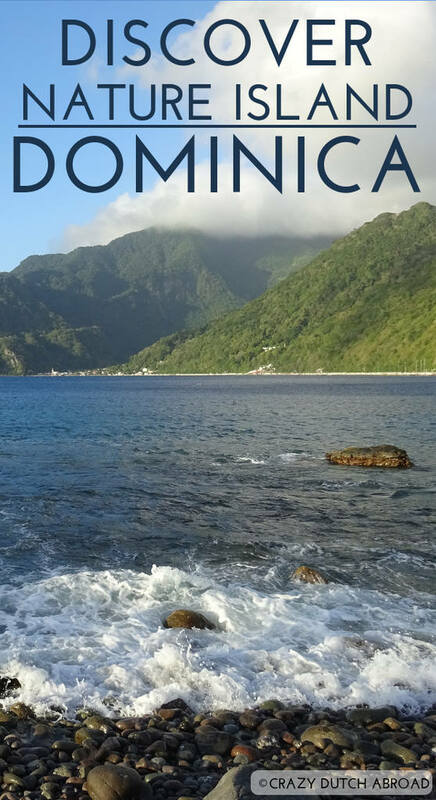 If you look for one of the most beautiful islands in the West Indies / Lesser Antilles or just the Eastern Caribbean one island stands out: Dominica. Often confused with the Dominican Republic which lays in the same region but is a totally different island with lots of luxury resorts and a fast-growing economy. 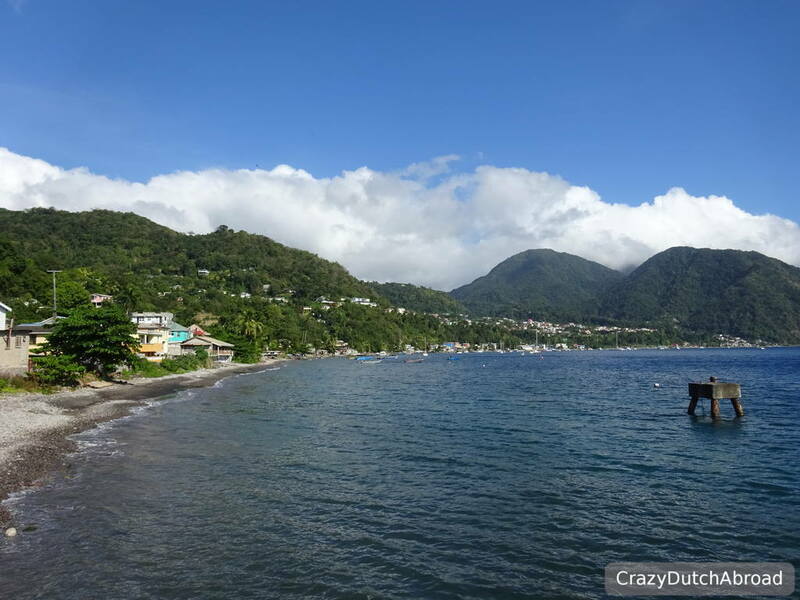 Dominica is called the nature island of the Caribbean and nature is what you will find around this volcanic island with black sand beaches. You will find enough mountains to hike for weeks, volcanic craters and active boiling lakes and beach lagoons plus whales and dolphins year-round. It is wild, natural and rural with only a few cruise ships bringing in crowds for a couple of hours. 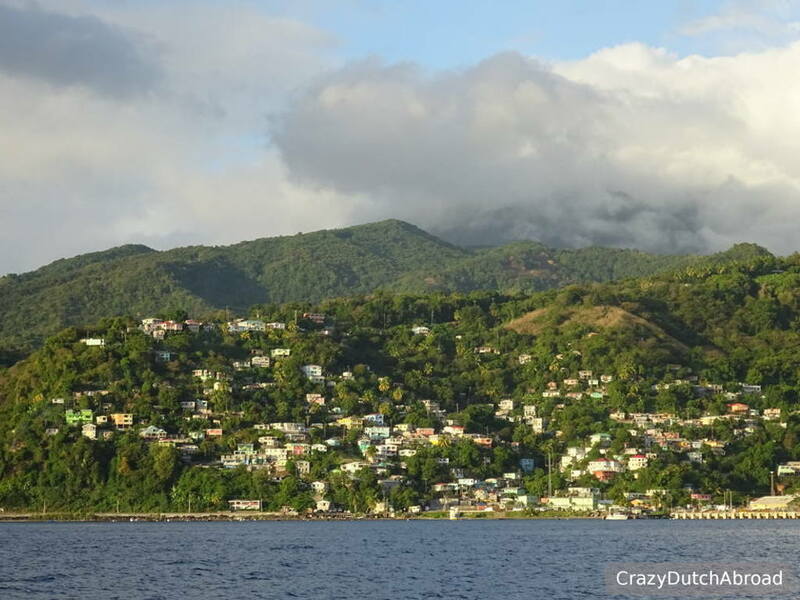 There are three marine parks in Dominica along the West coast (Caribbean Sea). The Atlantic coast offers high waves and often strong currents, often not suitable for swimming. 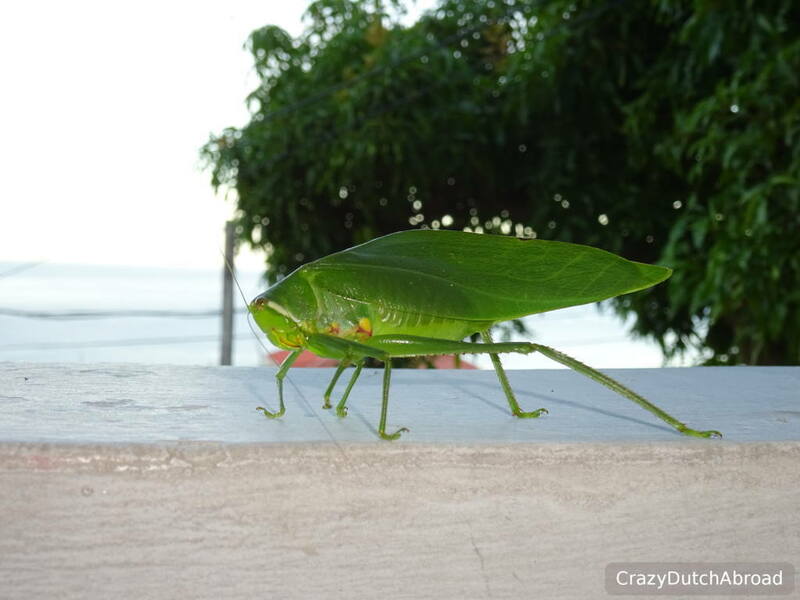 Fireflies, hummingbirds and funny little lizards called zandoli are everywhere. Zandoli only live on Dominica and they look a lot like a gecko. Zandoli often seem to just jump around, often miss their aimed spot and land anywhere - really funny to watch. 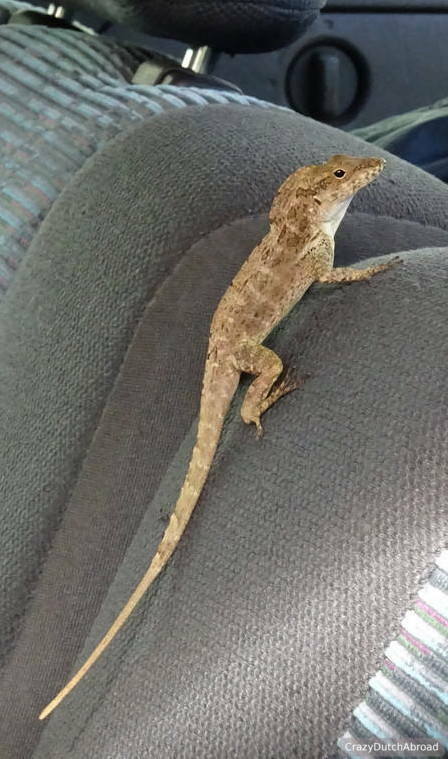 Within 10 minutes after leaving the airport we got the first zandoli hitchhiking! Hilarious little creatures. 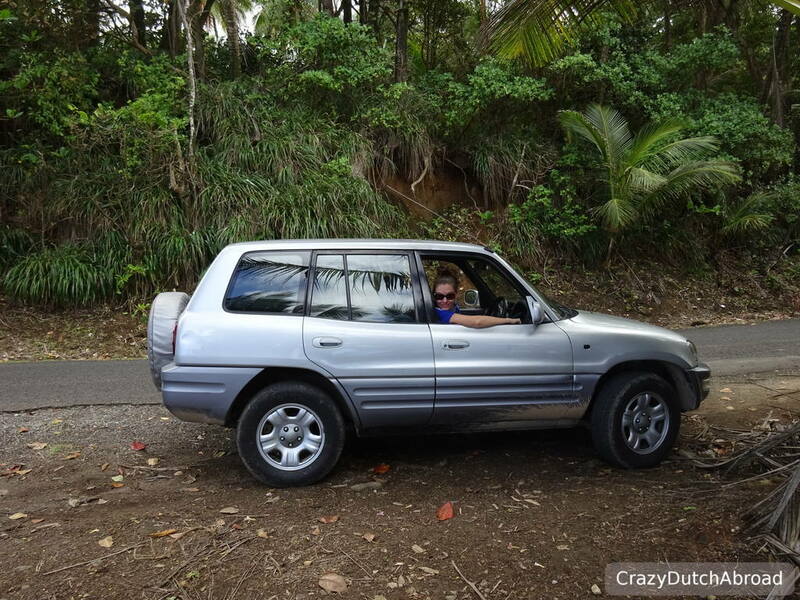 A great way to explore the beauty and diversity of Dominica is to drive around, two days should be sufficient. There are many curly and steep roads, often no safety barriers and not enough space for two and they drive on the left - expect a challenge. The roads are pretty empty in the North and East, along the Atlantic coast. People will wave if you pass by or try to hitchhike (a little bit aggressively) as public transport might take an hour to arrive in those areas. 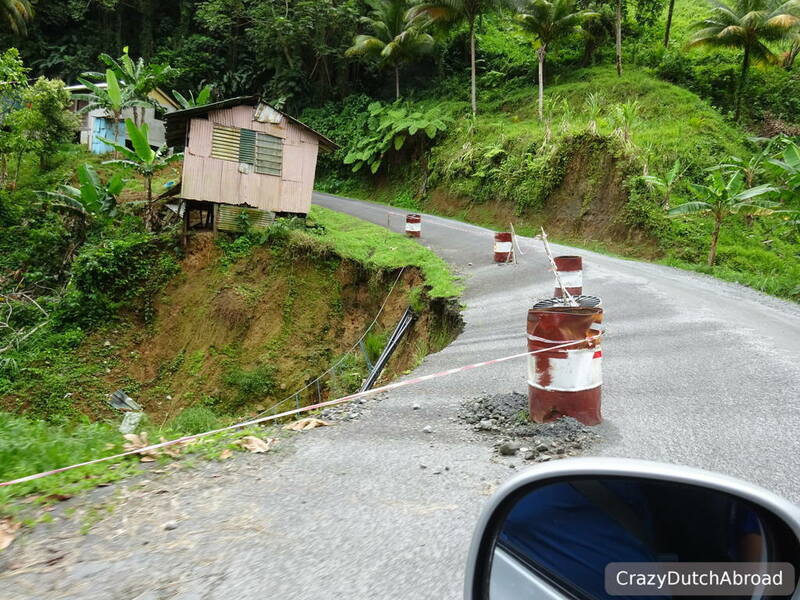 Some roads are damaged badly or still closed after one of the nations worst disasters, tropical storm Erika, hit the island in 2015. Because of Erika you can not drive around the whole island anymore and some roads towards Rosalie are closed. But, this area is worth a trip. Make sure to have lunch (quiche!) at Riverside Cafe in La Plaine on the East coast and enjoy the beautiful river. Along the road you can buy cheap fresh fruits and vegetables from locals and if you pass If you take the rural road between Atkinson and Castle Bruce make sure to stop by the Cassava Bakery (find it on Google maps) and try Daniel's cassava bread! 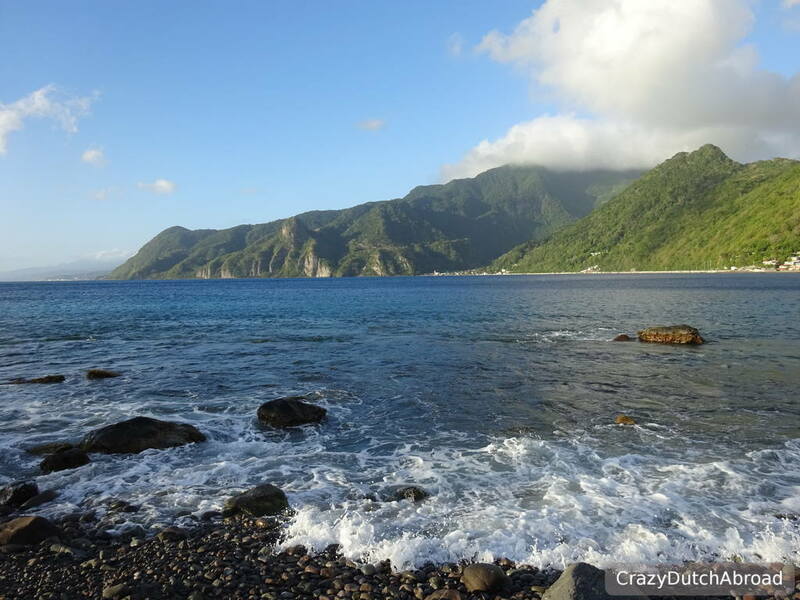 As we are more ocean than forest lovers we skipped all hiking adventures and drove to the most incredible beach in Dominica: Soufriere Scottshead Marine Reserve. 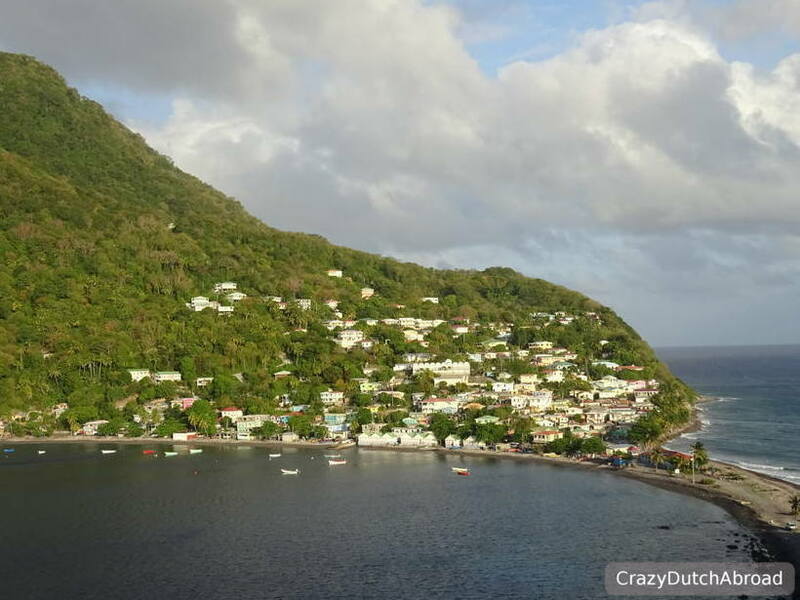 Soufriere and Scottshead are two local villages around a stunning bay. Because of volcano eruptions and continuing magma activity the soils are rich. The country is green, dramatically shaped and with volcanic activities like the Volcanic bubbles at Champagne reef, great for snorkeling or diving. Underwater the same dramatic landscape continues creating wonderful spots for SCUBA diving in Soufriere Scotts Head Marine Reserve! Scottshead refers to the hill with fort ruins at the end of a small land strip where the Caribbean sea and Atlantic ocean meet. It is a short hike or 4 wheel drive up the hill and there are some great photo opportunities from the top in the afternoon. The story goes that the French removed the head of the English officer George Scott on the hill and threw it in the sea after giving him too much liquor. 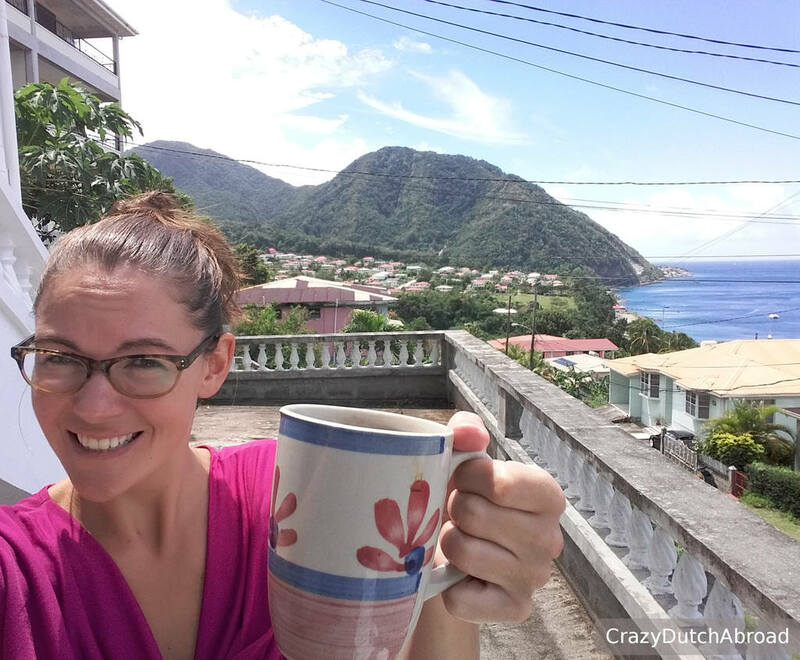 Whale and dolphin watching in Dominica! In the South of Dominica you can watch dolphins and whales year-round! Do not miss out on this opportunity and schedule in advance! There are strict rules and regulations to keep the populations healthy as well as the people who book a whale watching tour happy. Various operators offer the Whale watching trips once or twice a week for about 60 USD. 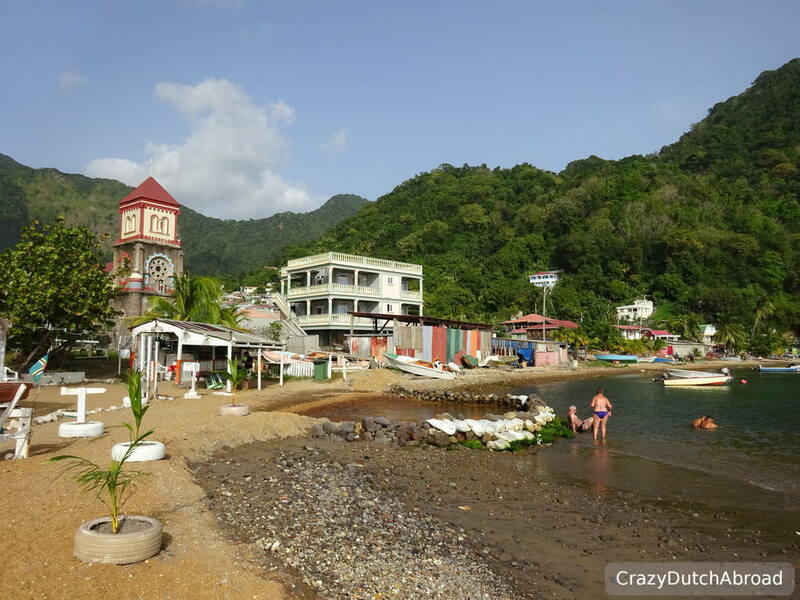 We went with Dive Dominica and really loved it! Read about it here. 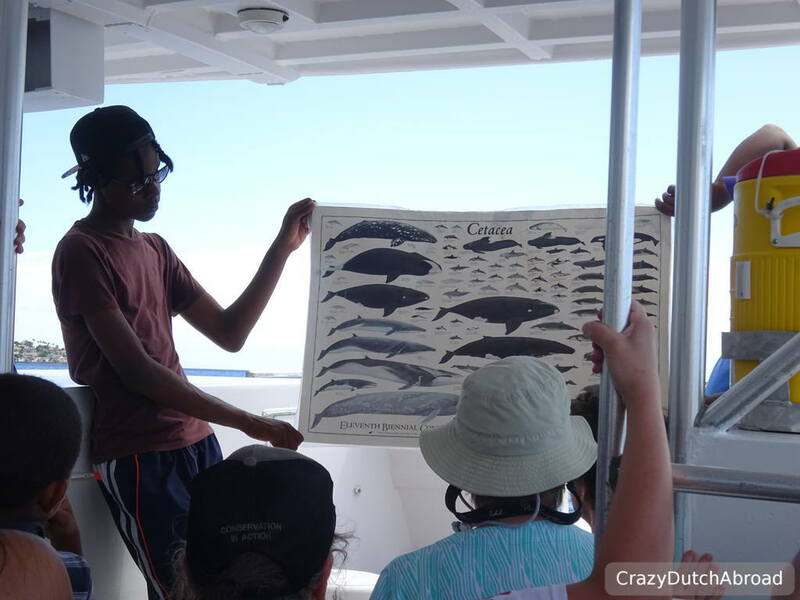 Whale and dolphin watching in Dominica. The most respected, in-depth and comprehensive travel guide available to this Caribbean nature island, a place of unbridled, off-the-beaten-path adventure and discovery. Broth is a local dish you should try. It is a one-pot meal, more like a thick soup, with smoked meat, chicken and/or fish plus local vegetables like cassava and plantains. A bowl should cost about 15 EC dollar (about $6 USD) and especially in Roseau you should be able to find this in many local restaurants. It is served only around lunch time and, as we found out, only in the weekend. Arriving on a Monday around lunchtime we got some strange faces asking for broth. One: Because of our pronunciation. Broth is pronounced as a dog barking "wraf/ruff" instead of something like "brought/broad". Two: The weekend just ended, "Come back next Friday!" 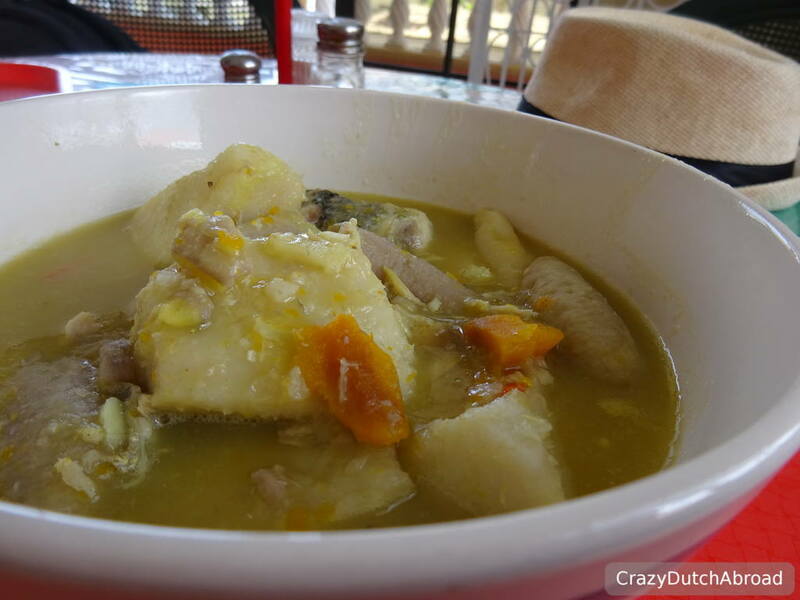 Luckily we found one shop that by coincidence made fish broth on a Monday, the 3 stars Caribbean Delights Restaurant & Grill, close to the new Digicel store and China Town restaurant on Great Malborough St. 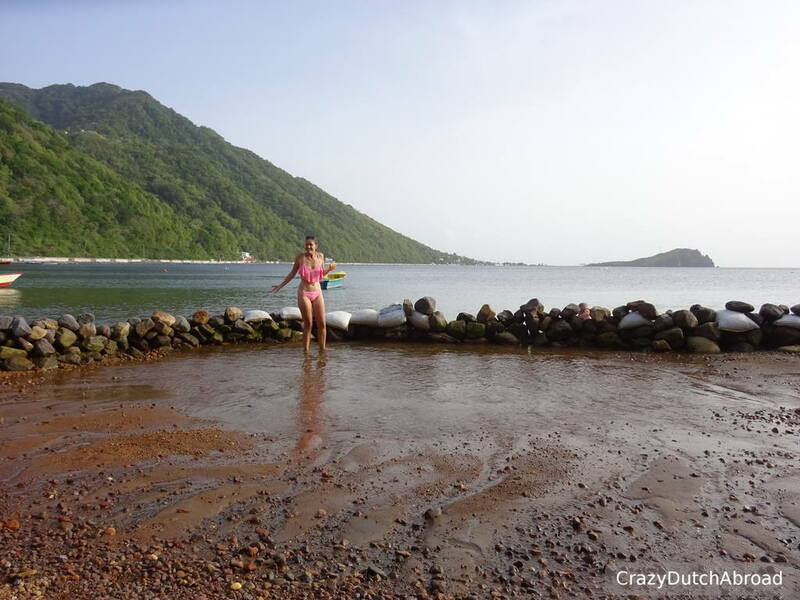 Inside Soufriere bay you visit Bubble Beach, one of the natural hot pools with volcanic bubbles. Easy accessible without hiking, great sea view and free to use. 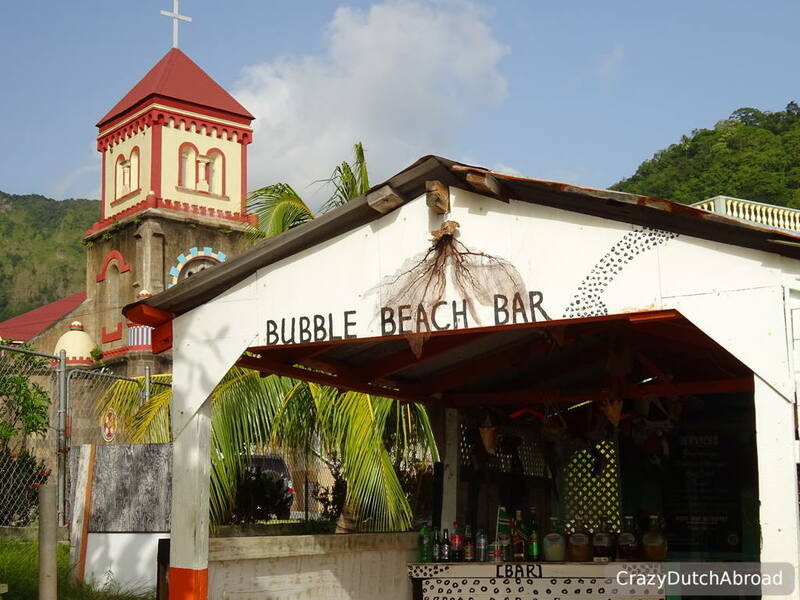 There is a local bar, Bubble Beach Bar that offers passion fruit rum punch. 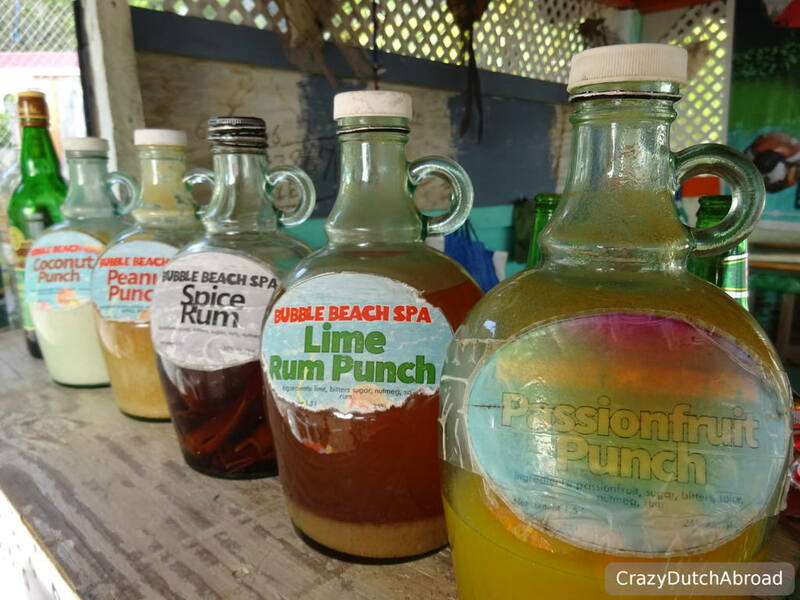 If you try one you will realize why it is called a rum PUNCH, drink a few and you will be knock-out! Second lesson: No hot spring at low tide. It was soooo funny when we arrived and there was no water inside the natural pool! Apparently we arrived at low tide, around 4 PM. Lucky for us the water would return at around 6 PM, perfect for a lovely Caribbean sunset in a natural Jacuzzi. Rum PUNCH and NO bubbles at Bubble Beach! 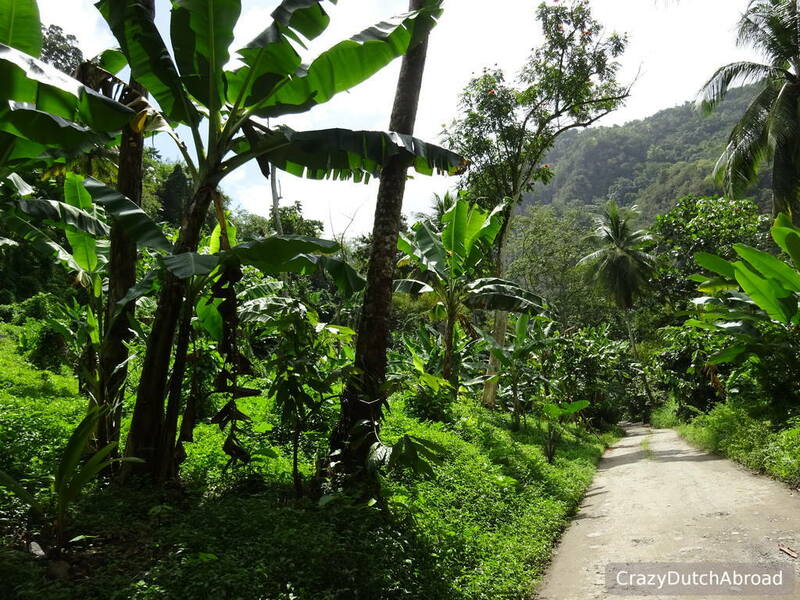 There are countless hiking trails around the island, some really short while others take the whole day or more. Fanatics come to hike here for weeks while others hire a local guide for a day or two. The hike we would have loved to cross off the list is the famous Boiling lake. This is a 8-hours hike to a lake on top of one of the volcanos which is so hot the water is actually boiling. There are some great waterfall canyoning trips offered on Dominica. 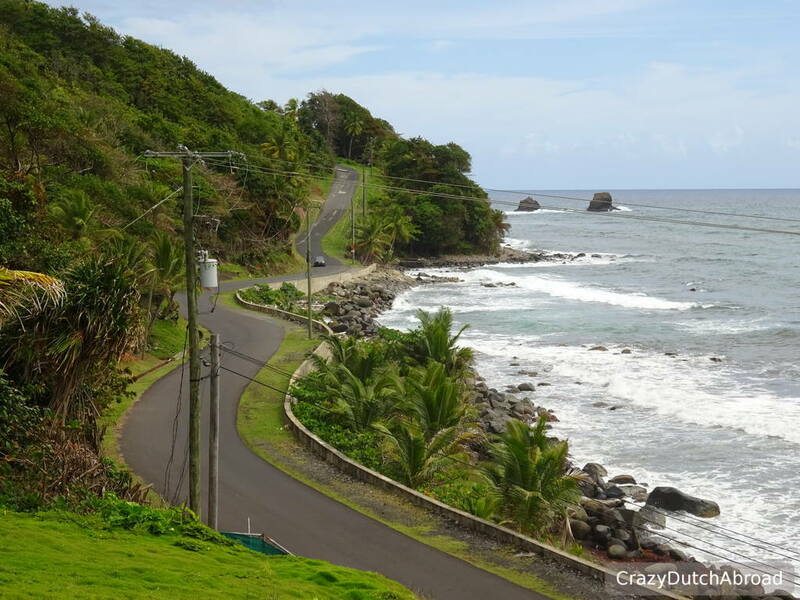 The company Extreme Dominica offers 3-hours trips for about 160 USD including transfer from Roseau. It would have been great to rappel or abseil the waterfalls wearing a helmet, harness and brace yourself to all the ropes on this adventure. Another adventure is to go wild water river tubing wearing a life-jacket and steering with a peddle. This would be such a different experience compared to Tubing in Vang Vieng, Laos. The company that offers the trips is Wacky Rollers, about 50 USD for a 3-hours trip including transportation. We skipped both trips because we had a lot of work to do online. Kalinago village is an authentic village with an old Indian culture. People are weaving baskets, bake cassava bread and herbal medicine. Even-though this looks very touristy it must be a lovely experience to learn more about the Dominican culture of the old days. Various prices apply for shows, tours and transportation but the entrance to the park is $10. The park is located on the North-East side of Dominica. Strip with bars Not available, in the villages you can find some local bars and a handful of 'international' restaurants plus the hotel restaurants. On Mero Beach you have a few restaurants close to each other. Spots we loved East coast: Riverside Café! Restaurants open Local restaurants often close around 5 PM. 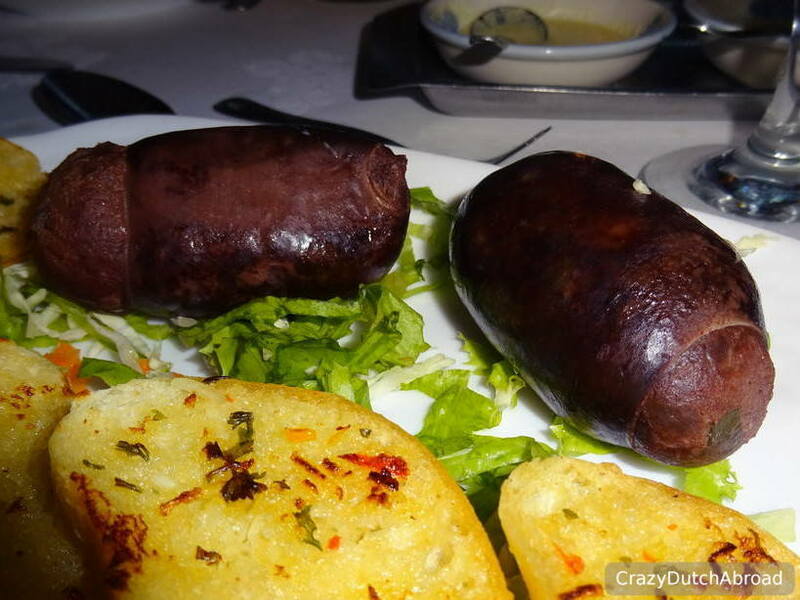 International restaurants have various opening hours and days, those you can check online. Number of restaurants and bars in top-area Roseau as about 15 (mainly local) restaurants and bars. Quality of local food Good but often greasy, ask the homemade pepper sauce if you like to spice up your meal. Scooter/car rental Cars go from 50 USD a day, a 4WD is recommended. You need to pay for a visitors temporary driver's licence, 30 EC (11 USD). We rented with Edge at the airport and were happy with it. We did not find any scooter rentals in Roseau. Local transport There are bus routes around the island which cost around 3 EC (1-2 USD). It can be cramped during rush hour. Along the Caribbean coast, between Portsmouth and Scotts head there buses driving up and down the whole time, the rest of the island maybe one bus every hour (daytime only). Taxi Taxi's (same minivan and sometimes shared) cost 15 EC (6 USD) from Castle Comfort to Roseau. 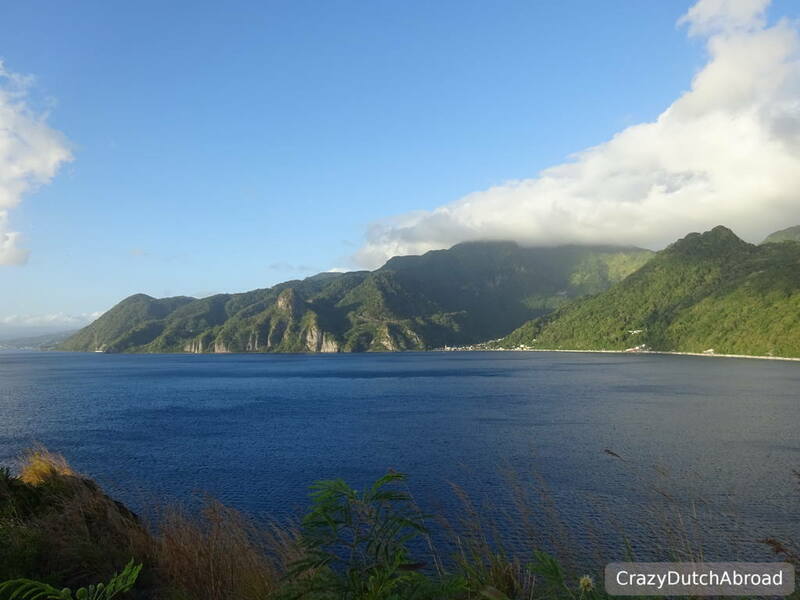 From Roseau to Soufriere about EC 50 (20 USD) one way. Call in advance, especially when there are cruise ships around! Boat You can take the ferry to Martinique and Guadeloupe from Dominica (Roseau), about $70 USD to Guadeloupe. You need to pay 59 EC departure tax CASH ONLY per person as well. Flight You can fly to various Caribbean islands within one hour, prices vary a lot. Coffee with a view from our Airbnb apartment. Apartment We stayed at various places in Dominica through Airbnb. Most nights we stayed in Castle Comfort at Faye's place with great views for less than 50 USD a night. Click here to check the apartment and availability. New to Airbnb? With this link you get FREE travel credit/discount on your first booking! Nice hotel Fort Young Hotel has a great waterfront location (+dive shop) and is right in Roseau. This one I would recommend for a dive holiday. 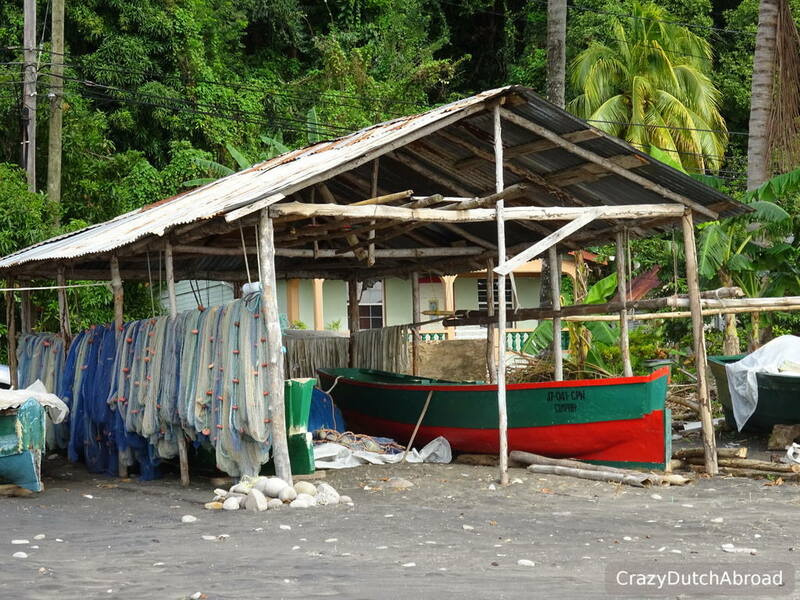 Resort Starting from $200 USD per night, located isolated around the island. Hotel score price-quality There is not a lot of tourism around, prices are above average I would say. Local SIM card We did not buy a local SIM as free WIFI was widely available and we got a mobile phone to use with our Airbnb (great for local calls). WIFI Hot spot Free WIFI is offered at most restaurants and bars around the island. 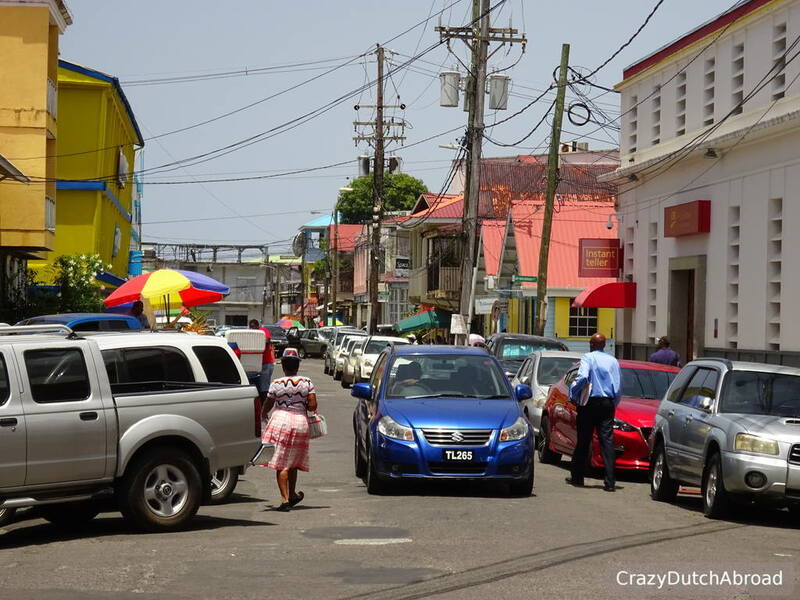 Barbados: Why Barbados really is a Happy Island! 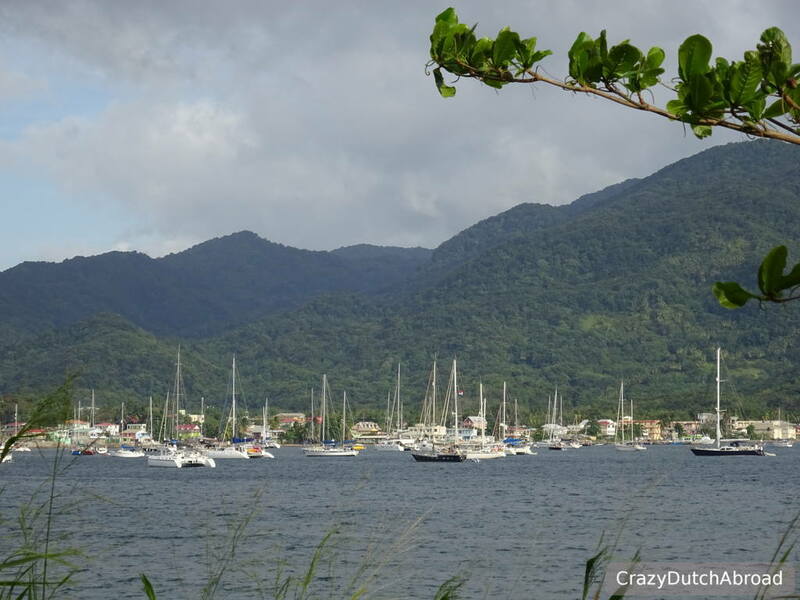 Trinidad: Carnival, Leatherback turtles and bird watching! 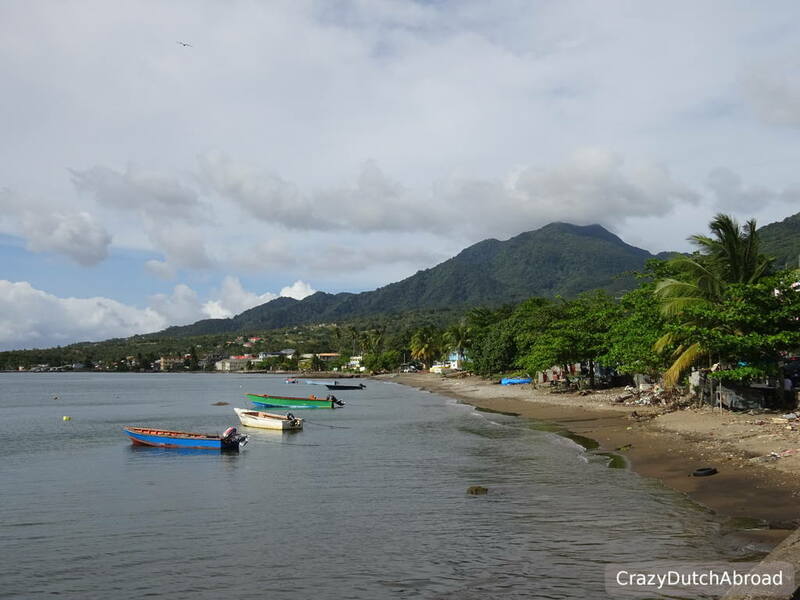 Tobago: Tropical beaches and mountain views over secluded bays! 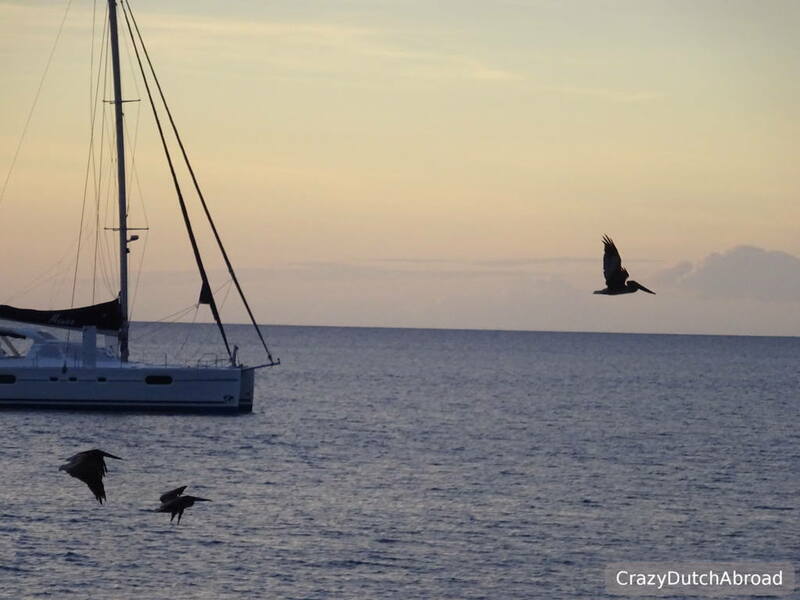 Bonaire: The Dutch Caribbean: Bonaire, Divers Paradise! Curaçao: Colonial influences, colorful markets and the turquoise blue water!